These are typically NGOs raising funds for their social work. No wall too high: Music education for the underprivileged. Changing lives of underprivileged children through structured music education. Lets help BANDU MAYEKAR in his time of need. He is battling Pancreatic cancer. Bandu was diagnosed with Pancreatic cancer and has incurred huge costs for surgeries . He is currently admitted at Tata Memorial hospital. Yogesh Gowda was a golf coach with a bright future. Coming from a humble background he learnt his golf in Bangalore. LETS HELP MR. ARTHUR PEREIRA IN HIS TIME OF NEED. HE IS BATTLING CANCER. Mr. Arthur Pereira our football coach is in a financial tight spot as he has already incurred expenses of over INR 10L. Let's come to his aid. 1000 people walking 12 kms for clean water? Let’s end that. Villagers & kids in an orphanage near Hosur walk 12 kms a day for clean water. MASARD is building a water purification plant to serve them! VAANI is setting up a Sadhan Resource Centre in Bengaluru to enable deaf children to communicate with their families and the world. MILKHA SINGH BACKS THE WHEELCHAIR BASKETBALL TEAM. WILL YOU? Manoj is on a wheelchair and wants to become an international rifle-shooting star. Help him get a world class rifle and realise his dreams. Kotak Wheelchair Marathon Break frontiers, Ignite change! Participate or sponsor a runner in India's most inclusive marathon that is organised by persons with disabilities. Geberit and Vidyanikethan are working towards building sanitation facilities for children rescued from child labour. Support this creche for " kids of maids and daily wage workers" in Bengaluru. Transform their lives. PARIHAR helps women, children & families in distress move from darkness to HOPE! Help counseling centre PARIHAR create a safe haven for women and children and resolve the trauma in their life. Start 2018 by bringing a "smile" and "joy" to disadvantaged rural kids. No Hungry Child aims to eradicate hunger among children thereby enabling them to grow as healthy citizens and focus on their education. THIS NEW YEAR GIFT LIGHT TO REMOTE VILLAGES OF ORISSA! These 8 hamlets in Orissa have never had light, as they are remote & off the grid. It takes just INR 835 to help them get out of darkness. How music and you can transform the lives of differently abled children and adults in chennai! Help build water wells in 2 remote villages of the backward district of Kandhamal,Odisha. Will impact health and avoid long walks for women. Need funds to run the adult literacy programme for homeless people with psychosocial disabilities to rehabilitate them and find employment. FOOD IS READY FOR THE POOR & HUNGRY – LET’S GET IT TO THEM! Swabhimaan Trust is raising funds to get surplus food from “corporate canteens” in Bangalore to the hungry in the city’s slums! This 15-month old is battling a rare form of cancer and needs your help to recover. ANKUSH MRIDHA is fighting a cancerous tumour in his liver. His parents are farmers from W.Bengal and are getting him treated at the TATA Memorial Hospital in Mumbai. MoveInSync seeks to collaborate with Bangaloreans and plant 3,000 saplings to reclaim the garden city. Used tyres can help make a fun library for needy kids! 5 designers, 6 storytellers are taking 120 used tyres & donated books to make a library for needy kids in a school in Goripalaya, Bangalore. Shakuntalam provides education to 55 children of slum dwellers in Rajiv Nagar,Gurgaon & is raising funds to support their education. A school where Children With Disability become super -abled! After transforming lives of 1000+ Children with Disability, APD is raising funds for its integrated school SIS & help transform 200 lives! 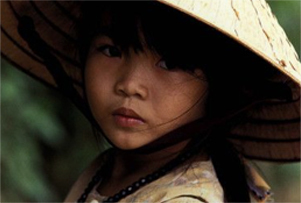 SUGAM NGO aims to provide both education and community skills to underprivileged, orphaned and abandoned kids. Help young women from a poor family, in a small village in Gujarat get married and start a new stress free and debt free life. CHANDRAMMA IS THE FASTEST 11 YR OLD GIRL IN BANGALORE ! Annapoorna Trust runs an orphanage & school for 70+ kids where their love & encouragement gives kids like Chandramma a winning chance ! Shaunak Bajpai with Atma Vani is raising money to provide the homeless with blankets in Kanpur this winter. Spread the warmth & save lives! We build MINI LIBRARIES in rural schools in Chikkaballapur (near Bangalore) to bring fun & fantasy into kid’s lives! 5 IITians, 88 USED TYRES & 1 PLAYGROUND FOR ORPHAN & SLUM KIDS! Doctors who help the elderly poor smile & eat without pain. Getting an inhalant anesthesia machine for animals will dramatically reduce their fatality rate during surgery & save more lives. Help us take this practical & proven, gravity based water delivery solution to the next tribal village in Vishakhapatnam district.